Disney parks around the world are celebrating 90 years of Mickey Mouse and Minnie Mouse with special surprises and events. Today we’re happy to share a sneak peek at the fancy fashions Mickey and Minnie will wear for the celebration at Walt Disney World® Resort, Disneyland® Resort and Disney Cruise Line. 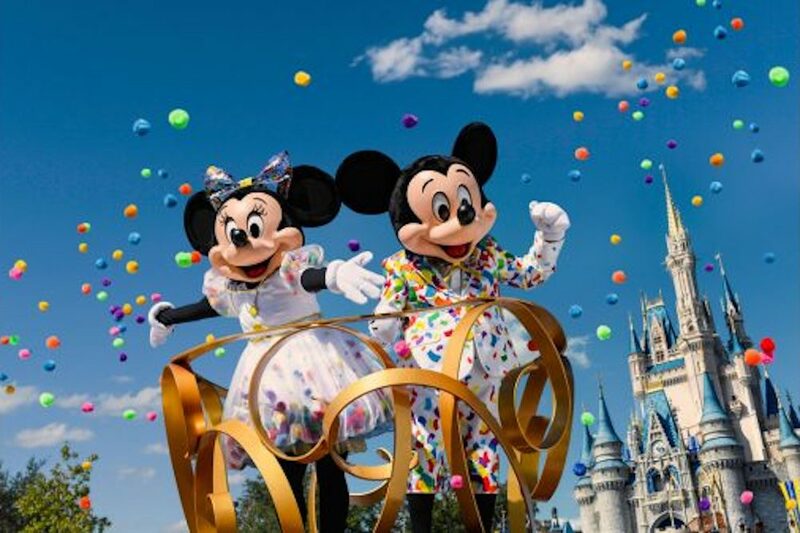 Mickey Mouse’s crisp white suit will feature a shower of colorful confetti, while fashion icon Minnie Mouse will don a puff-sleeve dress adorned with pompoms and a buoyant bubble skirt for the celebration at some of our parks. The new outfits will be seen at Walt Disney World Resort in “Move It! Shake It! MousekeDance It! Street Party,” opening Jan. 18, 2019 during Mickey & Minnie’s Surprise Celebration at Magic Kingdom® Park – a limited-time celebration that will include new entertainment, merchandise and specialty food and beverage.